In the years before WW II Burton Ale remained a standard draught beer in London pubs. Usually, like draught Stout, it was an 8d per pint beer, which implied an OG of 1050-1055º. 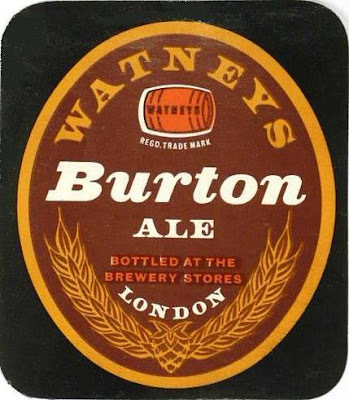 The Burtons produced by the different London breweries were all generally similar: 5-5.5% ABV, dark brown in colour and reasonably well hopped. Though, as you can see in the table, some breweries produced a slightly weaker beer that retailed for 7d per pint. Whitbread’s version, called 33 after the tax reduction in 1933 it was brewed to celebrate, was slightly stronger and darker than was the norm, clocking in at over 1060º and with a colour of 100. 80 to 100 was a more typical colour, which is around 20-25 SRM, if you want to go all modern. It’s not a surprise that London Burtons were all generally similar in character as they were competing in the same market. And, while London Stouts did make it to other parts of the UK, Burton Ales seem to have only been available in the capital.